WASHINGTON, DC — The national law firm of Quarles & Brady LLP today announced that David Brunori has been elected a fellow at the National Academy of Public Administration. The National Academy of Public Administration provides expert advice to government leaders in building and managing more effective, efficient, accountable, and transparent organizations. The academy is a congressionally chartered non-partisan organization whose fellows include former cabinet officers, members of Congress, governors, mayors, state legislators, prominent scholars, business executives, and public administrators. David Brunori is a partner in the Business Law and Tax practice group and works from the firm's Washington, DC office. His practice focuses on state and local tax, audit defense and litigation. 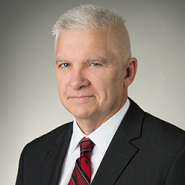 In addition to practicing law, he serves as a research professor of law and public policy at George Washington University where he teaches state and local tax law and public finance. He graduated from University of Pittsburgh School of Law and received his B.A, with honors, from George Washington University.